Liechtenstein is a tiny principality deep in the heart of Alpine Europe, located between Austria and Switzerland. If you are imagining snowy chalets, you’ve got it right. This image epitomizes diminutive Liechtenstein. The capital is Vaduz and if you are able to find organized study abroad programs in the country, you will be able to experience an economic mighty-mouse. In fact, the country is a kind of wunderkind in the European business world and continues to vigorously accumulate industrial wealth without compromising its quaintness. It thrives with a prosperous, highly industrialized, free-enterprise economy with a vital financial service sector and one of the highest per capita incomes in the world. If you have a passion for Liechtenstein, you will have to remain tenacious in your program and scholarship search. Scholarships are indeed limited, but there are several study abroad programs. The good news is that European tuition is much lower than American. 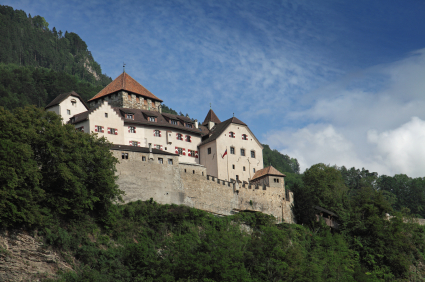 In Liechtenstein, it is about $5,200 per academic year. If you don’t find a program that fits your need, plan to design your own. Since the country is bordered by Switzerland to the west and south and by Austria to the east, you may consider finding a program in one of those countries and making a long detour into Liechtenstein. The University of Liechtenstein, located in the unique heart of the principality, has become an internationally renowned center of higher education. The university offers some opportunities for U.S. students. The Institute of Architecture and Planning awards several API Scholarships to students applying for graduate-level architectural studies at the university. The API Scholarships are granted to applicants who demonstrate academic excellence and financial need, regardless of nationality or background. The university’s Institute of Information Systems also accepts pre- and post-doctoral students and visiting researchers. Every other year, the Institute of Current World Affairs offers two-year fellowships for self-designed, independent study abroad. However, they are not awarded to support work toward academic degrees, writing a book, or for research projects. Candidates may seek fellowships in any country. The John O. Crane Memorial Fellowship has a focus on Central and Eastern Europe, so Liechtenstein would apply. Qualified candidates must be motivated freethinkers. They must be fluent in the language of their destination, and have a good command of the English language for writing monthly newsletters. The ideal project is one in which there exists a great potential to impact society. These fellowships provide full financial support for its fellows and their immediate families. Rotary International used to be one of the most active and generous scholarship sponsors in the world by providing over a thousand Ambassadorial Scholarships each academic year. However, this long tradition is ending in 2013. Instead, students need to apply for scholarships through their local district chapters. These scholarships will carry no restrictions on the level (secondary, university, or graduate), length, location or area of study. Also, there will be on restrictions on the dollar amount for the scholarships. The Liechtensteinische Musikschule — a globally recognized music school — was an approved Rotary study affiliate in the past, so it may continue to be in the future.